Many research labs would like to acquire and implement the CRISPR-Cas9 technology for their gene editing projects. Indeed, it’s a powerful system based on a simple principle: an endonuclease, the CAS9, is driven onto a target site by a short guide RNA. There are so many strategies with benefits and drawbacks that is quite challenging to figure how to start out. Newcomers may be pushed into necessarily becoming experts before finding an efficient way to success. But what if you could use a complete and simple kit to facilitate your projects? 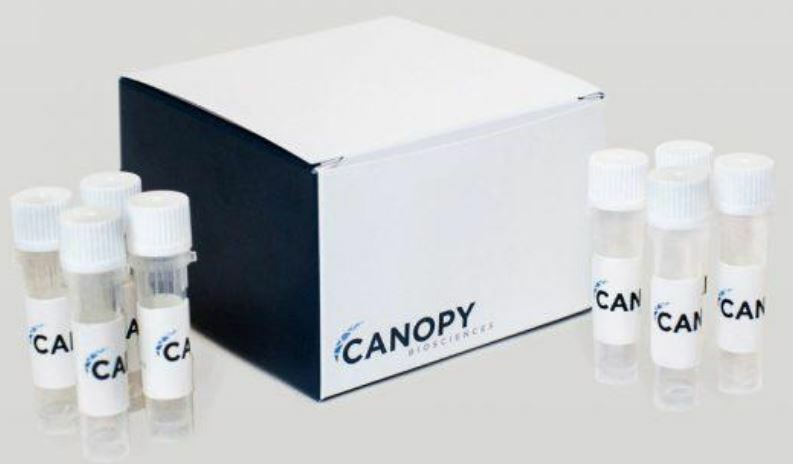 Our Canopy CRISPR kits contain everything that is required for a CRISPR gene editing experiment. CAS9 endonuclease, customized gRNA and a simple protocol are all you need, and they’re in the CRISPR001 kit. For point mutation and small insertion (<200bp) an oligo donor will be sufficient, so the corresponding kit is CRISPR002. 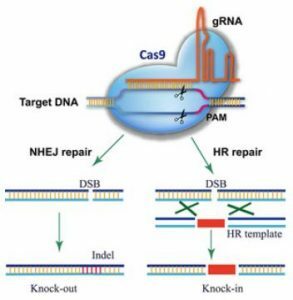 Above 200bp and for gene tagging a plasmid donor is required, the dedicated kit is CRISPR003. Each kit is customized for your project, so just mention the target gene (Gene ID) and the modification for the knocking ordering the kit. Functions of miRNA are involved in numerous pathways and their disregulation is linked to diseases and cancers. Thus, it can be of interest to knock-out a specific miRNA to analyze its role. The corresponding kit is NAW003. So now, both newcomers and experts now have a simple way to perform gene editing based on a single box for each project. Nevertheless, if you prefer have complete peace of mind, just go for the option of obtaining it through robust and affordable services. See tebu-bio’s laboratory services at a glance here.